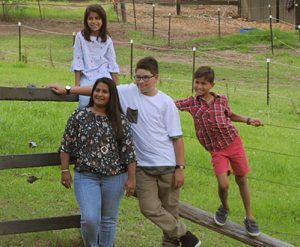 In 2006, Nina and Luke Betts began the next chapter of their life together by moving to Luke’s family property in Outback South Australia. They were looking forward to raising their two children – Corey aged 2 and new born Jarred, just 4 months old. But their dreams were about to be shattered. She screamed in total dismay as she stared down at her tiny baby. 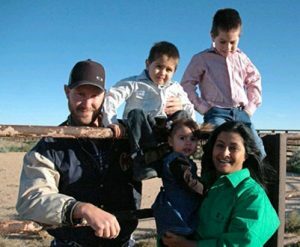 Her husband and a farm worker were quickly by her side. They tried to resuscitate little Jarred. But it was too late. Nina and Luke were devastated. They weren’t ready to say good-bye to their baby so Nina sat with him all day – not wanting to leave him alone for even a moment! Donate Now - your gift can help families like Nina's! Living on a remote cattle station, Nina and Luke had to wait 7 agonising hours for the police and coroner to arrive. The two parents then had to endure another 7 hours of interviews; including re-enacting what happened that morning. It’s standard practice for a police investigation but the whole process took an enormous toll on the already traumatised couple. As a parent, I cannot imagine going through the heartache of losing a child let alone living several hours away from essential support during a time of crisis. Ask yourself, how would you cope? But while all of this was going on, the bush telegraph had sprung to life. Rev John Dihm was based on the Parkin-Sturt Remote Area of South Australia at the time. We thank God that we had our Bush Chaplain on the ground who was able to drop everything to travel the vast distance to be with Nina and Luke. You can help keep our Bush Chaplains on the ground by making a donation so they can be there when they are needed. Donate Now and help keep our Bush Chaplains on the ground! Even now, John remembers how quiet the property was when he arrived. On that first visit, John stayed with the couple for a number of days. He helped them express their deepest grief by talking and shedding a tear with each of them in turn. He looked around the farmhouse and realised their belongings were still in boxes because they hadn’t had time to unpack. So he put in a call for a couple of Outback Links volunteers who unpacked, cooked meals and provided practical support to Luke and Nina. It took 10 long months for the cause of little Jarred’s death to be revealed. 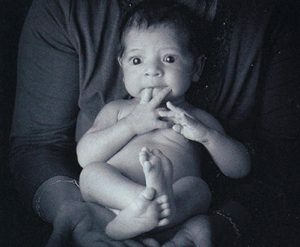 He had died of Sudden Infant Death Syndrome (SIDS). During those months, Nina agonised over every detail of her pregnancy and Jarred’s first few months of life … constantly asking herself, “Did I do something wrong?” Of course she hadn’t, but her grief had no room for logic. Everyone deals with grief in different ways. Nina wanted to talk about her thoughts and feelings. Luke didn’t. There aren’t any regular counselling services 900km north of Adelaide. Luckily for Nina, Rev John was there to talk to. He offered a kind and supportive sounding board to both Nina and her husband Luke. With his help, their lives slowly began to return to a normal routine. While they will never forget baby Jarred, they slowly began to heal and begin to make plans for their future. The more isolated the community, the more difficult it is for these families to access the services they need. We are so lucky to live in the city where there are lots of options and services available to us. 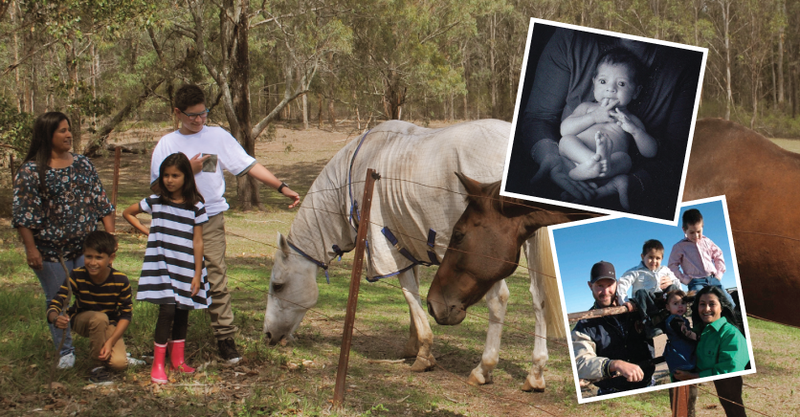 But for families like Nina and Luke’s, there are very few resources available to help them. That’s one of the reasons why our Bush Chaplains are so important and it’s the reason I’m asking for your help today. A gift of $25, $50 or $75 will help to keep a Bush Chaplain on the road for another year. Gradually life returned to normal until another tragedy struck! Nina and Luke always dreamed of raising a large family in Outback Australia. It was a hard decision to make but they decided to stay on Luke’s family property and have another baby or two. Over the next couple of years, Toby and then Jade were born. The family began to feel whole again. Rev John continued to stay in touch and baptised both children. He had become an important part of the family. In 2013, the couple was finally in a very happy place. Luke and Nina were enjoying each other’s company again and trying for another baby. Life was good and they had a lot to be grateful for. But just as the family started to feel whole again another tragedy struck! During a routine flight to muster the cattle, Luke’s plane went down at the edge of their vast property. He was killed instantly. When Nina received the news, the first person she called was John. “I need you,” she said and that was all he needed to hear. Having relocated to the Pilbara Remote Area in WA, John hopped on the first available plane to get to Nina as quickly as possible. Despite his own grief at Luke’s passing, Rev John was again by Nina’s side as she made arrangements for her husband’s funeral. John conducted the service and supported Nina and the three children. In fact, he is so close to the kids they call him Poppa. Hundreds of people travelled hours to attend Luke’s funeral but a few days after the service Nina turned to John and said, “I can’t stay here!” So he helped Nina and the children move to a large town with a local school where they stayed for the next 12 months. That was 5 years ago now and Nina is in a much happier place. She is rebuilding her life and helping her children have a happy childhood even though their dad is no longer around to guide them. Rev John is still by her side offering support and kind words of encouragement. But if it wasn’t for Frontier Services and Bush Chaplains like John, what would have happened to Nina and her family? Who would support them during their darkest hours? The reality for Nina and the thousands of people who live in remote Australian communities is that there is no-one else. There are very few services and they often have long waiting lists and require hours of travel to get there. That’s why I am asking for your help. We need to keep our Bush Chaplains on the road so they can help others. Their regions are vast so we need to ensure they have safe vehicles, fuel, rent and a basic salary while they support remote communities and people living in isolation. To keep just one Bush Chaplain on the road for another year we need to raise $120,000. Can you help with a tax deductible gift of $25, $50 or a generous gift of $75 by June 30? Help families like Nina's rebuild their lives - Donate now! Your prayers are appreciated. They are so valuable to us but we also need funds to ensure Bush Chaplains like Rev John Dihm are able to provide practical, pastoral and spiritual care where it’s needed the most. Please help us. Your donation – large or small – will make a difference to thousands of people living in Outback Australia. P.S. As difficult as this was for Nina to share her tragic, heartbreaking story, she did so because she believes there’s a desperate need for better mental health services in remote areas. I hope you believe so too. Thank you.